Combine, stir, and let boil in a thick pot for a little over 5 min. 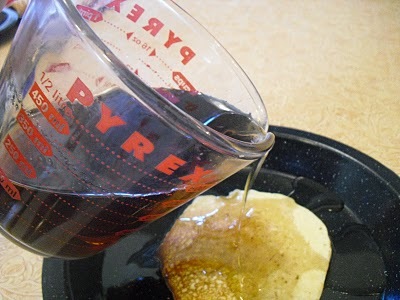 Watch the mixture, when the bubbles and liquid turn to a clear color, remove from heat. Add 1 TBS Maple Extract. Very interesting... I never thought to do this. It'd be awesome in a pinch! Never thought about making my own like that..what a great idea! Yeah, another thing I can make myself! Thanks! Such a great idea!!! I am trying this for sure! I am so excited to have found this on the Saved by Love Creations blog hop. I am now following your neat blog!